Utilise the true Advantages of your team! Do you and your team members fully understand their Advantages? Is everyone aware of each other’s strengths? Are people assigned to do those tasks where they can contribute best and which motivate them most? Are you aware of how you can benefit even more from the diversity in your team? Or do you still get consumed by conflict management? and spark a cultural transformation. Discover hidden assets and identify those trigger-points that mobilise your people. Inspire your team with our proven principles for branding and communication. Resolve misunderstandings and typical conflicts. Our innovative Fascination System provides simple tools and methods to rapidly uncover the potential of your team. And then build on it systematically for the long run! Diversity strengthens a team and makes it more multifaceted, as long as each person understands and develops his or her strong suit. Leaders need to know how to tap into their team’s variety of Advantages so that they can help each person develop signature areas of performance. When you identify the natural communication styles within your group, you’ll begin to see the patterns behind how your team is most likely to succeed. 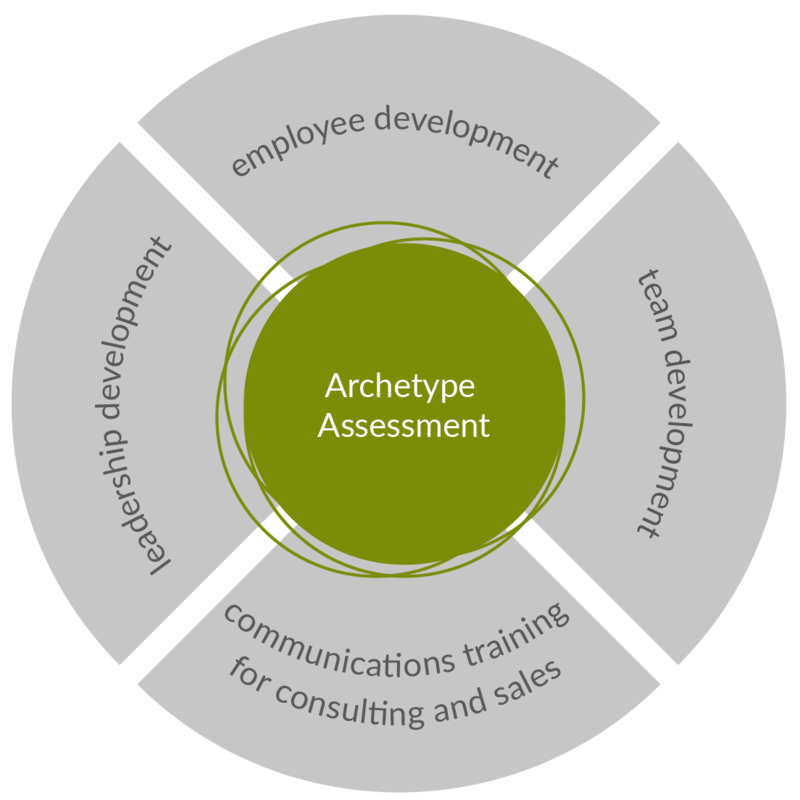 Your team has predictable successes based on its unique blend of personalities. It also has predictable challenges. We map out these easy wins and struggles, so that you can approach every project with a clearer vision of how your team will perform. How does everyone contribute value? How does that complement your own Advantages as a leader? 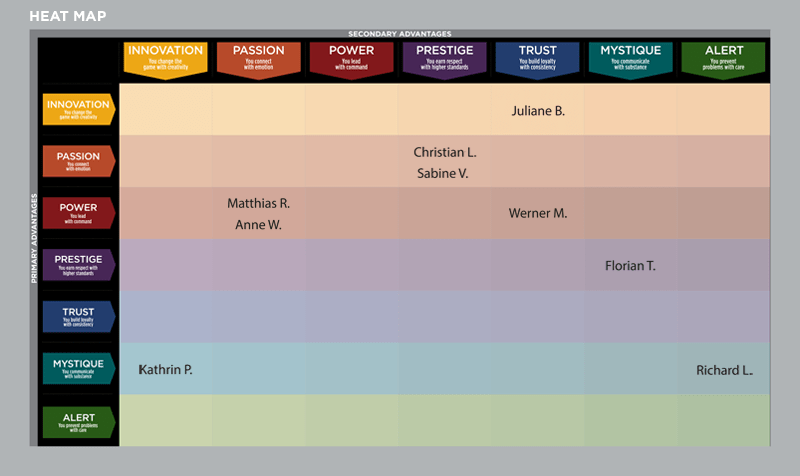 Based on the results of the Individual’s Fascination Advantage® Assessments we collate your team’s “Heat-Map”. This gives you a visual road map to create a stronger team. It is an exciting and effective way to see your team from a new perspective. Teams that work well together are teams that understand each other. When you understand the communication patterns and tendencies of your team members, you can cut through the conflict and encourage healthy relationships. with a bundle of Fascination Advantage® Assessments! Want to use the Fascination System within your organisation? Find out how to get certified to use our assessments and tools as an internal consultant!